Why would you ruin the iPhone's immaculate design? Well, turns out those luscious chamfered edges are of this world after all: They scratch, just like any other phone. OK, fine maybe we were wrong and you need a case. 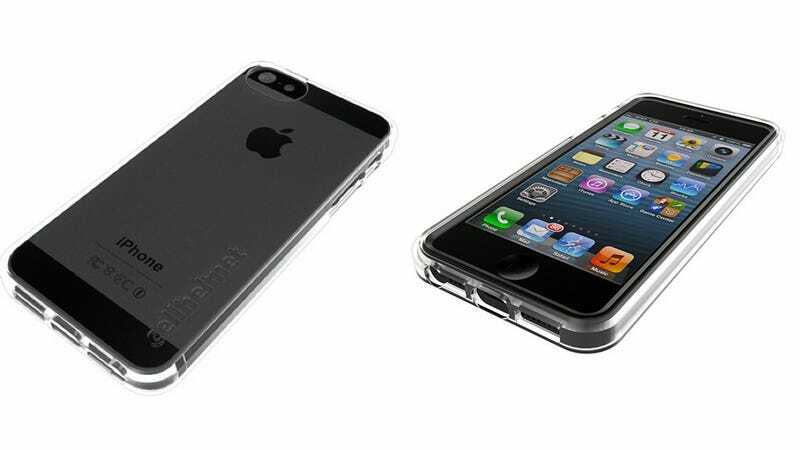 But if you're going armor your iPhone, at least use case that actually guarantees it will protect your phone. Here you have it, the return of the mighty Cellhelmet. Sure, the iPhone 5 Cellhelmet costs 50 bucks, but that's a $50 insurance policy for much of the bad stuff that can happen to your phone. As with the Cellhelmets of yore, the company provides accidental damage coverage for everything excluding scratches to the aluminum and water damage. That means if you drop your precious new iPhone 5 and the screen shatters, Cellhelmet will replace it for 50 bucks.